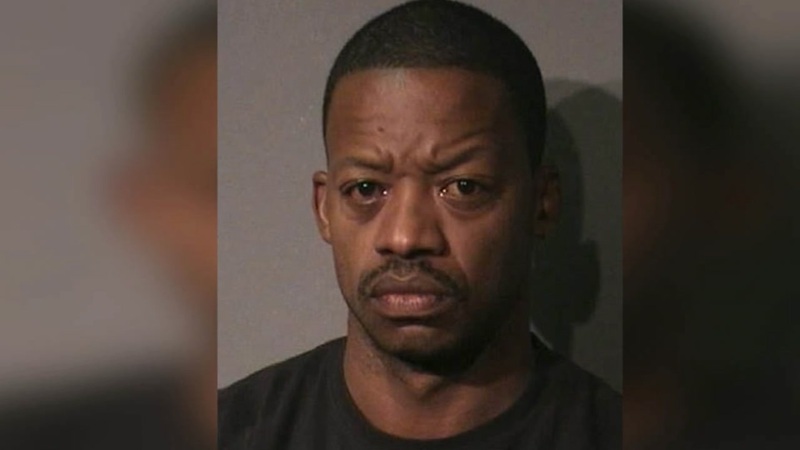 HOUSTON (KTRK) -- The victim of a burglary involving former Houston Rockets star Steve Francis talked exclusively to ABC13. She says she was shocked when she found out that Francis was the man caught on camera stealing whatever he could grab out her car. Francis bonded out of Harris County jail last week for charges of DWI and retaliation, but the clock is ticking for him to turn himself in for a burglary charge in Florida. According to the police report from that June incident, a woman at a restaurant left her door unlocked and while she was inside, Francis asked a bartender for help finding his keys. "The bartender went and got a flashlight and went outside and held the flashlight while Steve Francis moved my seats back and forth, stripped the inside of my car of everything, and broke into my lock box," she said. That victim spoke to Eyewitness News on the phone but asked not to be identified. Steve Francis held on burglary warrant. Former Rockets player Steve Francis is wanted for burglary in Florida. "He got a diamond ring, and he got my father's wedding band, he got my wallet, my cash, he stole my makeup bag," she said. Two days later, Bradenton police say he walked into the police department with a clear plastic bag with several of her items inside. He told them, "I just robbed somebody, take me to jail. I'm turning myself in." We're told they couldn't arrest him because they had nothing in their system to hold him. "As infuriating as it was to be robbed and it caused me a lot of problems because I needed my identification to get on the plane the next day, it was really sad to me," the victim said. Sad, she says, that a man who made more than $100 million dollars playing in the NBA had fallen this far from grace. She, along with many on social media, believes his behavior is bizarre. "If he needs help and is willing, I think that would be great. I would like restitution for the things he's stolen from me," she said. Some stuff is irreplaceable and that's something she has to deal with. Francis' Houston attorney, Rusty Hardin, says he has not left Houston for Florida yet. He's in the process of retaining an attorney to represent him there and he has until December 13 to turn himself in. Hardin fully expects him to do so.